The Israel Diamond Institute will hold an open house to officially launch its new representative office in New York on Oct. 10 from 3 p.m to 7 p.m. The office is located in the New York diamond district at 576 47th Street, on the corner of Fifth Avenue. The official opening is timed to coincide with the Diamonds by JCK trade show, at which IDI will be sponsoring the welcome reception on Oct. 9. Several of the Israel diamond industry’s top officials will be present at the open house, including: Simcha Lustig, IDI chairman; Shmuel Schnitzer, chairman of IDI’s Marketing and Public Relations Committee and president of the World Federation of Diamond Bourses; Avi Paz, president of the Israel Diamond Exchange; Moti Ganz, president of the Israel Diamond Manufacturers’ Association and Efraim Raviv, IDI’s managing director. The Israel Diamond Institute is a non-profit organization that promotes the Israeli diamond industry. The New York representation is its first international office; plans are to open additional offices, starting with Hong Kong, most likely in 2006. 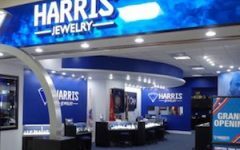 The mission of the new office is to expand trade in Israeli diamonds in U.S. markets. The office will serve to advise and assist Israeli diamond companies, especially those who do not have their own U.S. presence. In addition, the representation will seek to develop new markets for Israeli goods. Assaf Katran was named manager of Marketing and Business Development for IDI’s New York office. 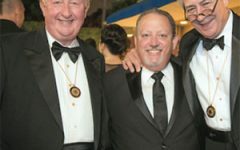 IDI says that although about one-half of all polished diamonds sold in the U.S. are Israeli stones, there are still great opportunities for expansion. The United States is the largest market for Israeli polished diamonds, accounting for about two-thirds of exports. In 2004, Israel’s net polished exports to the U.S. totaled $4.1 billion.